Money-Saving-RV-Repair.com offers a unique opportunity to advertise to a worldwide audience of over 11,000 highly-targeted potential customers per month. 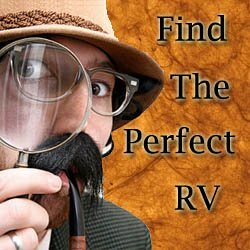 Targeted, cost-effective RV advertising is what you'll find on this site. Our visitors are RV owners who are already actively seeking out information to solve their RV problems. The only thing they are missing is the information about the quality service your business or website can provide them. But we'd like to help you change that by utilizing one of our cost-effective advertising plans. Money Saving RV Repair offers unique, well-priced, and targeted advertising plans that reach your customer as they are actively searching for information related to your service, product, or website. There are many offline means to advertise your service or product in the world. Newspapers and magazines abound, but the reality of the offline advertising world is that many of these mediums have limited circulations, are very expensive, and fall mostly on skimming eyes that don't have an inkling of interest in what you have to offer. The largest disadvantage, though, of standard offline print-based media is that it is often intrusive. Offline ads in generic print reach an audience of people at a time when many of those people are likely not looking for an RV-related service. On the web, your RV advertising reaches your highly targeted audience at that critical time when they are specifically looking for solutions to their RV needs, solutions that you can provide. This isn't to be taken as an absolute; print advertising can still be successful if you have the funding to reach a large enough distributor. But the right website has the power to reach those highly-targeted customers, and more of them, 24 hours a day, 7 days a week, 52 weeks a year, at a fraction of the cost. Furthermore, the right website has the power to give your customers the power to act on their newfound opportunity immediately, clicking through to your website to find all the information they need to make a purchase. Money Saving RV Repair was created in January 2010 to fill a gap we saw in the Internet in practical and economical information on RV repair, for RVers themselves. In the short amount of time since then it has grown into an interactive hub for thousands of RVers, who come to troubleshoot their problems by reading professional articles and sharing questions and stories using our visitor-submitted page platform. 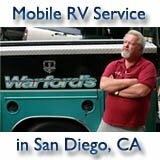 By the very nature of this site's theme, the visitors that come to MSRVR are RVers with problems they are looking to solve. This gives you the perfect opportunity to come in and help solve our visitors' RV need, through your product or service. The visitors your ad will be reaching can be very highly targeted towards your industry, and as a result, your ad will likely be more successful here than in a less targeted environment. Not only does Money Saving RV Repair reach over 11,000 RVers each month, but these numbers are growing at a rate of 32% from month to month, meaning your advertising plan is likely to be worth more than you originally paid for in successive months. MSRVR is not a commercial website, so there are just a handful of advertising opportunities here. Our site is about RV education and effective information transfer primarily, and we are at no time going to compromise that mission by admitting too many ads into our content. Instead, we are looking for a small number of high-quality advertising partners that can offer services that will actually help our visitors while complementing our material, rather than get in the way of their learning experience on our site. If you are a high-quality advertiser with us you stand to benefit from this philosophy. Your ad will be unique and it will stand out, rather than get lost amidst a sea of other ads on another less-mindful website, or in standard print advertising. Heard enough? The next section of this page will show you how to start your MSRVR ad campaign. Pick which style of ad you'd like: determine the size, placement, and structure of the ad (e.g. image, text, or both). Pick how pervasive you want your ad to be on our site: Site-wide, home page only, or any number of specific pages of your choosing. The next section of this page contains information and pricing options on the various ad formats we offer. To aid in visualizing your ultimate ad choice, we also have a live Ad Samples Page where you can see each different ad format in working order on our site. Just click the Ad Samples Page image below to visit. Visit this page to see a live example of our various ad formats. Please Note: This page is for illustrative purposes only. You won't find this many ads on any of our pages, so your unique ad will stand out even more than any of these do. Visit this page to open our price comparison chart. Our least expensive option, the Right Column Text Ad gets straight to the point without the glitz and glamour of an image. It consists of two parts, a descriptive link on top (use this to draw attention to your brand name perhaps), followed by some teaser text just below (use this to hook your viewers in with a short and memorable line that sounds useful to them). The ad is placed at the top of our right column, below any Right Column Image Ads that might be on the same page. The Right Column Text Ad, like all our right column formats, is an especially worthwhile format to apply site wide, letting you quickly establish yourself in the minds of our visitors with repetition as they scroll from page to page. It is also a great option for page by page placement if you have specific topics on our site you'd like to target towards. Link text is max 30 characters, teaser text is max 50 characters (both not including spaces). Page by Page: Depends on traffic of the page(s) you'd like. As low as $5 /month /page, with discounts for multi-page packages. This ad option gives you the real estate for a 160x160 pixel square image at the very top of our site's right column. The image also comes with your choice of blue link text and black teaser text just below the image. Both the image and the blue text can link to your desired landing page. An easy to implement site-wide ad, the Right Column Image is great for establishing a consistent above-the-fold impression throughout our site, or for targeting one or more individual pages you think will be particularly good for reaching your customer base. Note: In the event that more than one Right Column 160x160 exists on the same page, the top slot will go to the ad first served, unless the later served ad would like to bid above the first served with a slightly higher monthly rate. Page by Page: Depends on traffic of the page(s) you'd like. As low as $10 /month /page, with discounts for multi-page packages. The 160x600 affords you more image real estate on our right column for the same price as the 160x160. The 160x600 will appear just below any 160x160s and Right Column Text Links that might already be on the page, but the size of the ad alone will generate all the attention you'd want out of it. The image again links to the accompanying web page of your choice. There is no accompanying link text or teaser text with the 160x600, so make sure to emphasize the hook even more in the image itself. If you need a compelling image, feel free to call on us for your graphic work. Our graphic work costs $50 per image, and we work side by side with you to make sure you get exactly the visual you're looking for. With space for your custom caption here. The 250x250 image is the strongest ad type for targeting specific pages, one or multiples. This ad is placed on the top left of the main content column (the center column), known as being the first place an English reader's eyes will go when visiting a page. With 250 x 250 pixels of image space plus and up to a 25-word text caption, you've got a sizable chunk of real estate in this prime location to really make an impression. Need a graphic? As with any of our other image ads, use your own image or call on us for graphic work. Our graphic work costs $50 per image, and we work side by side with you to make sure you get exactly the visual you're looking for. Site Wide: N/A - Not all our pages are designed to host this ad type. 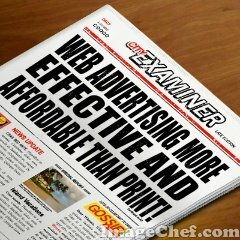 Special 10-Page Package: Between $50-$150 /month, depending on the traffic of the pages you'd like. Page by Page: Depends on traffic of the page(s) you'd like. As low as $20 /month /page, with discounts for multi-page packages. Our best option at prominently drawing attention straight to your business, this ad affords you 560x90 pixels of prime real estate at the very top of the page it is featured on, even above the main headline. There is no doubt that this ad space will draw the eyes of each potential customer who visits the page. An effective solution for targeting the visitors to a single page on our site, the Banner Image Ad is also our best option for resonating consistently in our visitors' minds with the Site Wide option. There is simply nothing else that can beat being at the top of every page throughout the site. Got an ad format idea that you want to use but we don't offer? We're all for getting exactly the advertisement experience you want. Just let us know in the comment box of the Advertisement Inquiry form and we'll work it out. Now we're moving on to our two options for ad space that are text focused, and integrated with the article itself. The Mid-Page Side Box gives you a 250 pixels-wide, right-aligned box to work both an image and up to 100 words of text into (to give you an idea, the example at right is only 42 words). The text can begin with a headline that is emphasized with a colored background, before giving way to the main body of your ad. Both the Side Box Ad and the Callout Box Ad below are primed to be heavily read by integrating them seamlessly in the midst of our articles. They both use the same design features as our non-ad text that we want to draw attention to in the middle of an article (a small "Sponsored site" marking sets it apart). Pick a page (or multiple) that is relevant, and write away. If you would like to have a custom graphic design made for your advertisement, we'd be happy to take care of that for you for just an extra $50 on top of your final payment. We'll work with you to realize exactly the graphic concept you want to promote your product, service, or website. If this service interests you, just make note of it in the Advertisement Inquiry form when you submit. Of course, our advertisers are more than welcome to use their own graphics to promote as well. The Callout Box is a big text-based piece of ad real estate that is integrated into the midst of an article. The Callout Box is 510 pixels wide, and can hold up to 150 words, a headline, and an image. The same as was written for the above Side Box also applies to the Callout Box--it is great for targeting single pages, and stands to be read by many visitors because it is integrated using the same design features as our own content (a small "Sponsored site" marking will set it apart). Page by Page: Depends on traffic of the page(s) you'd like. As low as $15 /month /page, with discounts for multi-page packages. 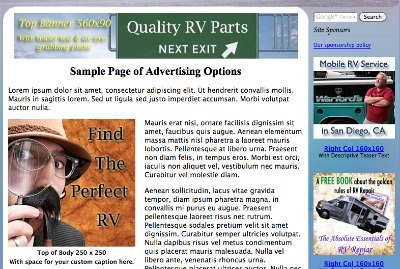 Ready to get started with your advertising spot on Money Saving RV Repair? Fill out the form below to get in touch with us about it. So we can be prepared to help you realize them. Learn more about me, my RV service practice, & this website here.